Daniel Little McFadden (born July 29, 1937) is an American econometrician who shared the 2000 Nobel Memorial Prize in Economic Sciences with James Heckman. McFadden's share of the prize was "for his development of theory and methods for analyzing discrete choice". He is the Presidential Professor of Health Economics at the University of Southern California and Professor of the Graduate School at University of California, Berkeley. McFadden was born in Raleigh, North Carolina. He attended the University of Minnesota, where he received a B.S. in Physics, and a Ph.D. in Behavioral Science (Economics) five years later (1962). While at the University of Minnesota, his graduate advisor was Leonid Hurwicz, who was awarded the Economics Nobel Prize in 2007. In 1964 McFadden joined the faculty of UC Berkeley, focusing his research on choice behavior and the problem of linking economic theory and measurement. In 1974 he introduced Conditional logit analysis. In 1975 McFadden won the John Bates Clark Medal. In 1977 he moved to the Massachusetts Institute of Technology. In 1981 he was elected to the National Academy of Sciences. He returned to Berkeley in 1991, founding the Econometrics Laboratory, which is devoted to statistical computation for economics applications. He remains its director. He is a trustee of the Economists for Peace and Security. In 2000 he won the Erwin Plein Nemmers Prize in Economics. In January 2011 McFadden was appointed the Presidential Professor of Health Economics at the University of Southern California (USC), and the announcement of this appointment was published on January 10, 2011. McFadden will have joint appointments at the USC Price School of Public Policy and the Department of Economics at the USC Dana and David Dornsife College of Letters, Arts and Sciences to examine fundamental problems facing the health care sector, looking specifically at how consumers make choices about health insurance and medical services. 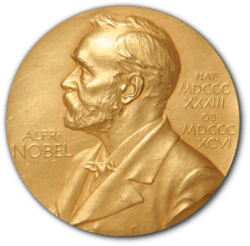 ↑ "The Sveriges Riksbank Prize in Economic Sciences in Memory of Alfred Nobel 2000". Nobelprize.org. Retrieved 2007-10-16. ↑ "Nobel Winner, Dr. McFadden, Appointed Presidential Professor at USC". usc.edu. Retrieved 2011-01-10. Daniel L. McFadden (1937– ). The Concise Encyclopedia of Economics. Library of Economics and Liberty (2nd ed.). Liberty Fund. 2008.